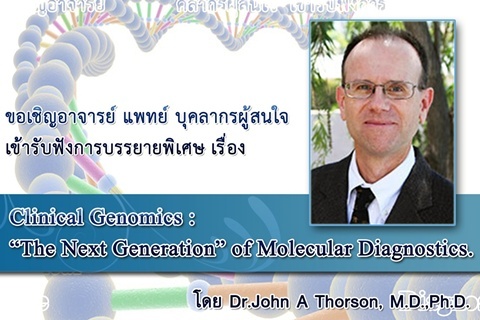 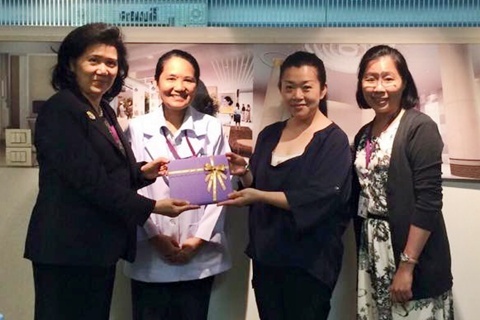 On May 6, 2015 at the Meeting 2, Office of the Dean, Faculty of Medicine Ramathibodi Hospital, Mahidol University. 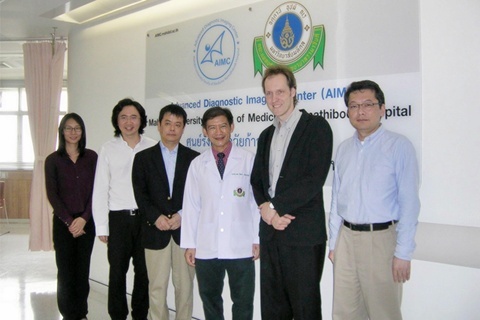 Researchers from Kyushu University visited AIMC on Saturday March 28. 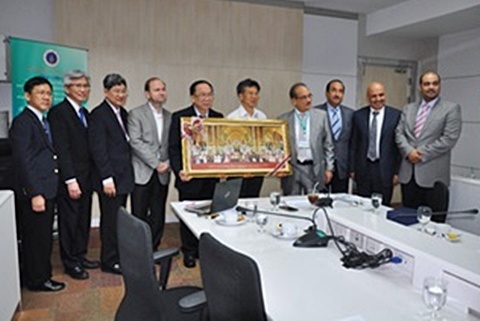 Future R&D collaboration is possible. 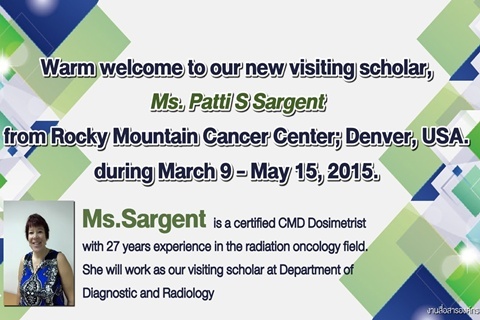 Ms. Patti S. Sargent, from Rocky Mountain Cancer Center, Denver, USA. 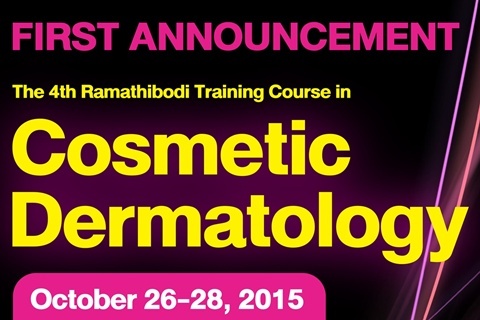 She will be with us during March 9 - May 15, 2015.
from Canada and United States of America. 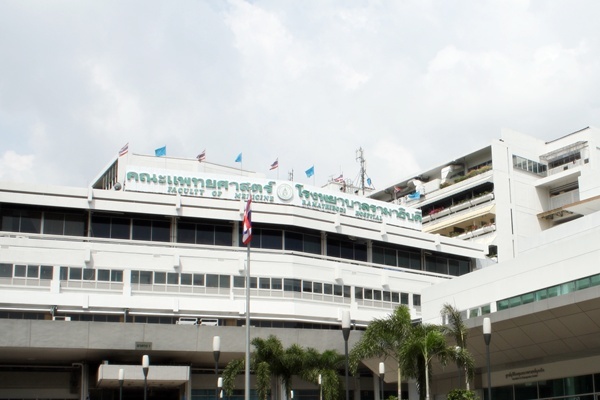 Assoc.Prof. 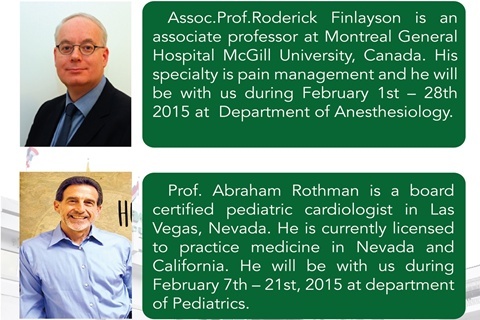 Roderick Finlayson from and Prof. Abraham Rothman.